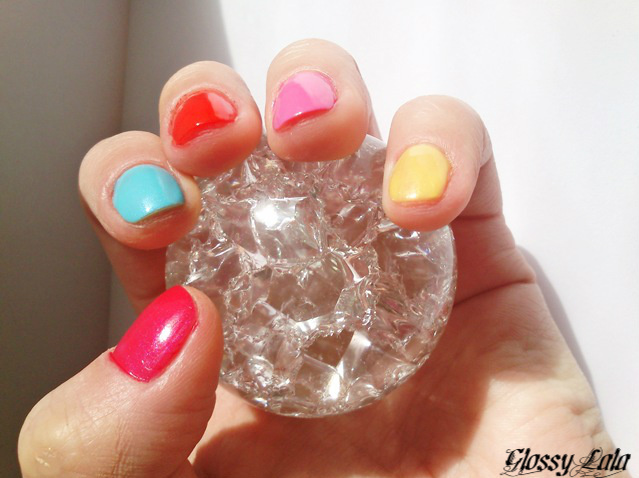 Rainbow Nails - Be Glossy In and Out! 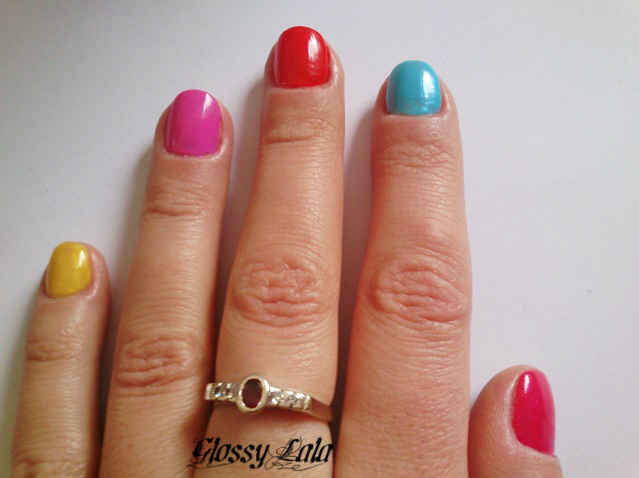 Here is a very happy manicure in the colors of 2012, suitable for both summer time and the monotonous winter. It is a joyful choice which will bring you positive energy and optimism. The nail polishes I used are: Tommy G (blue and yellow), Erre Due (fuchsia and orange) si Seventeen (pink).